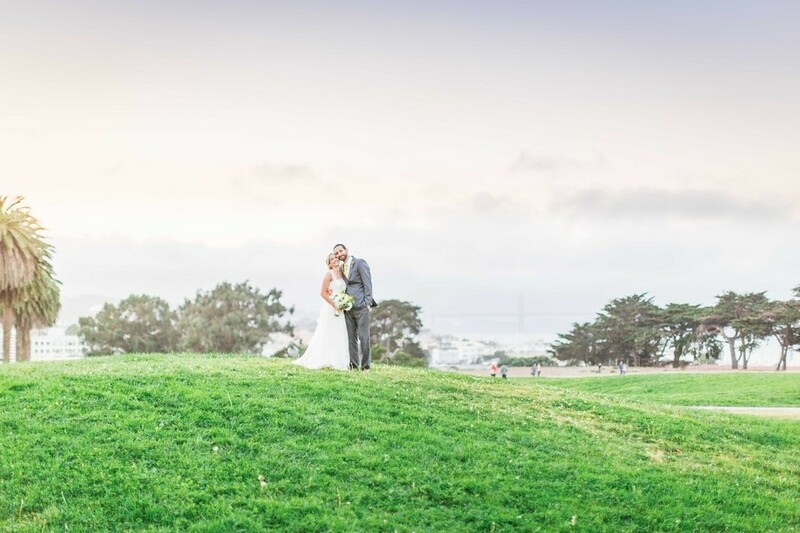 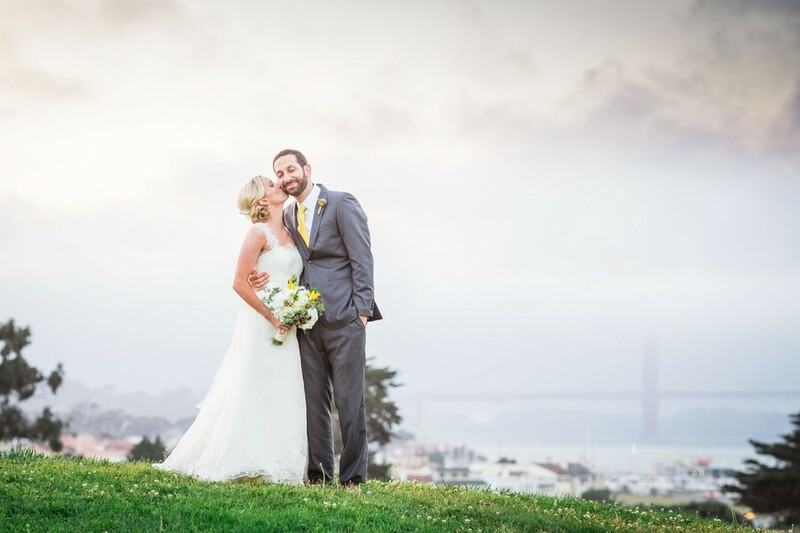 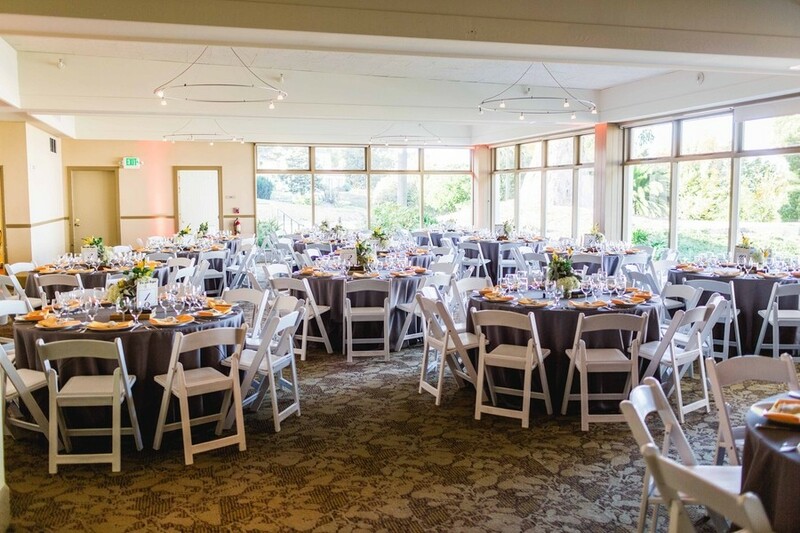 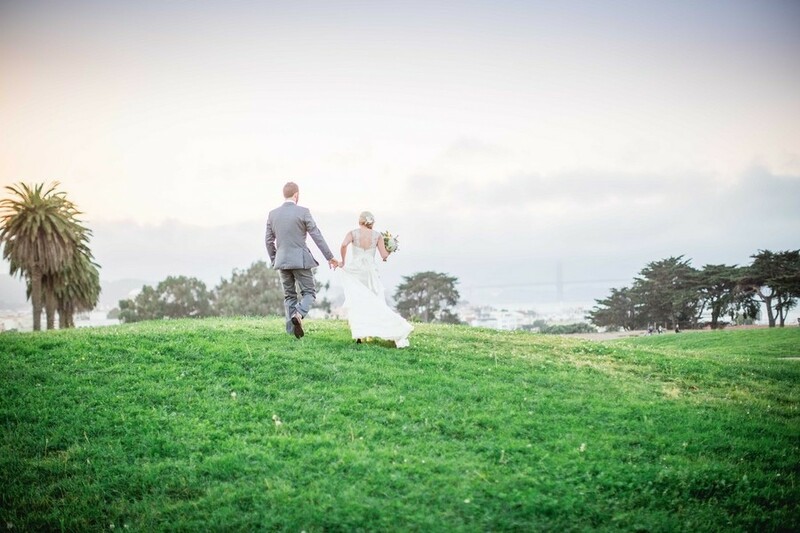 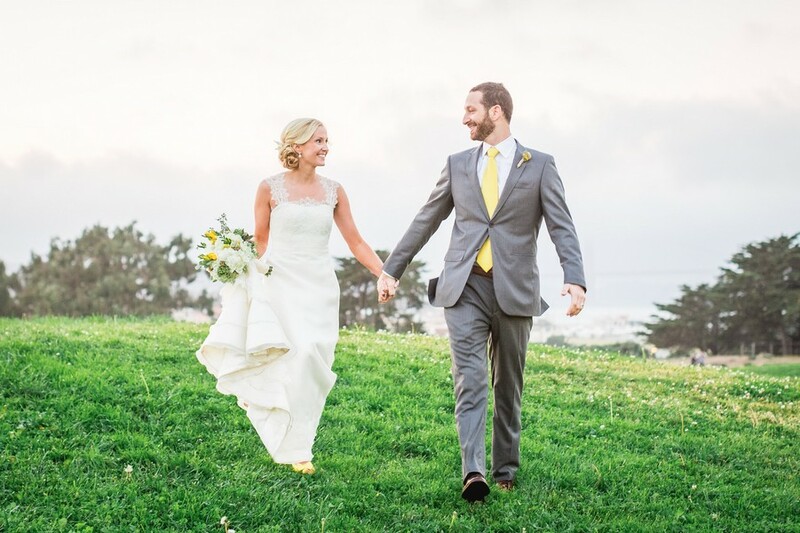 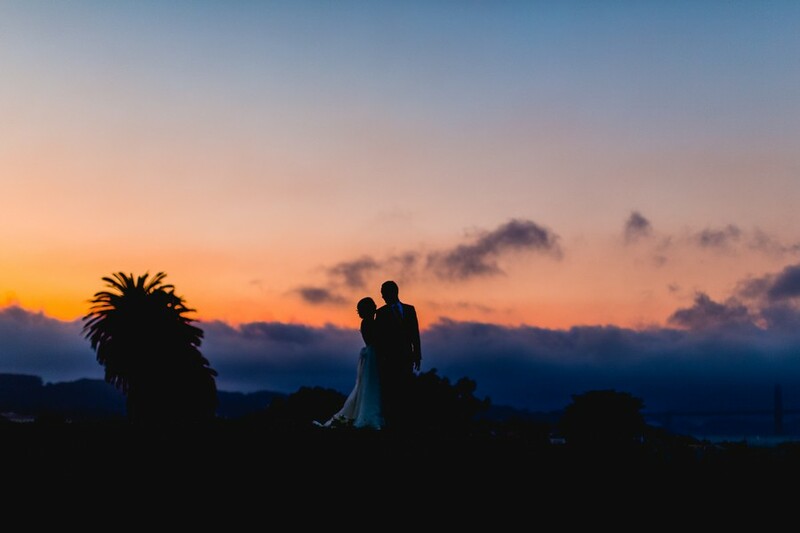 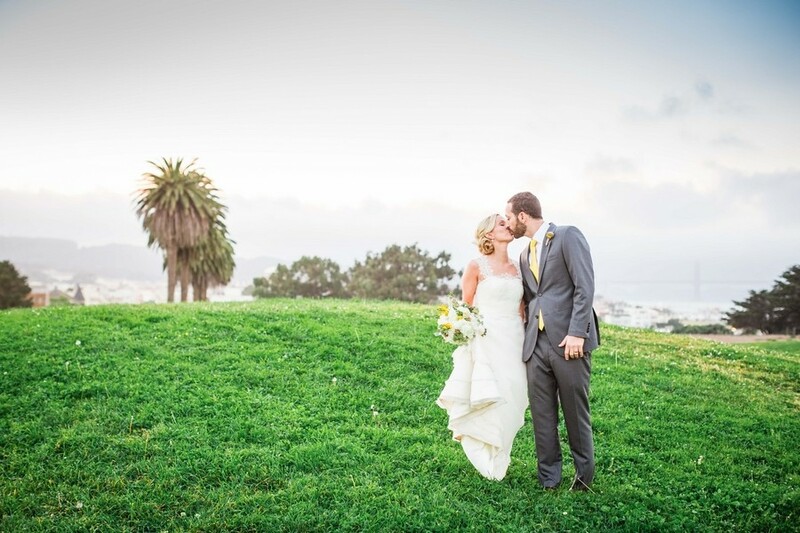 Kristen and Matt's gorgeous spring wedding featured bright yellow accents, sweet snacks, and jaw-dropping views of the Golden Gate Bridge. 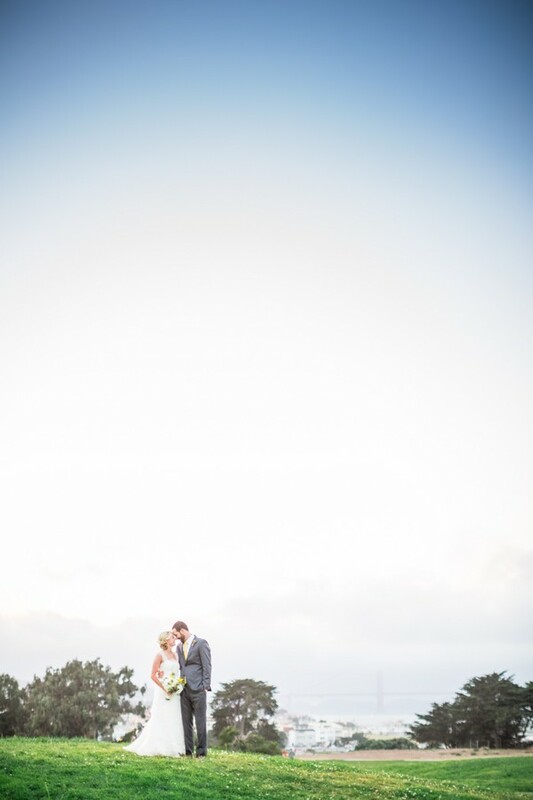 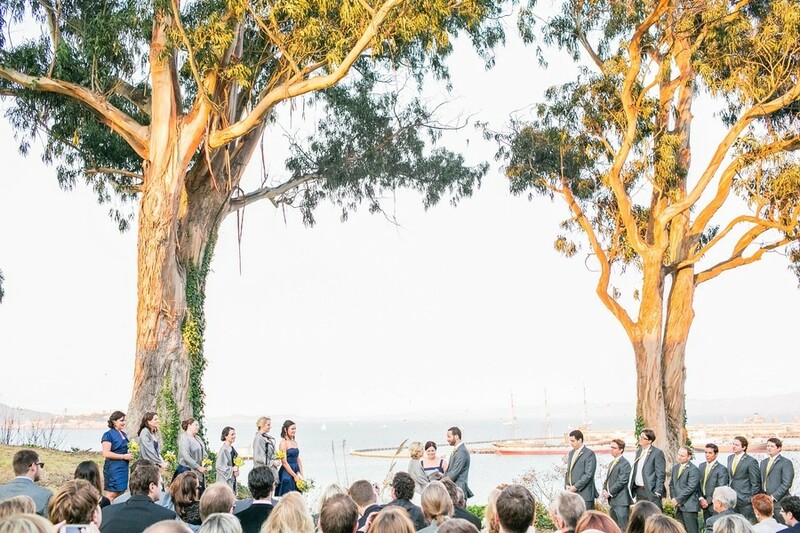 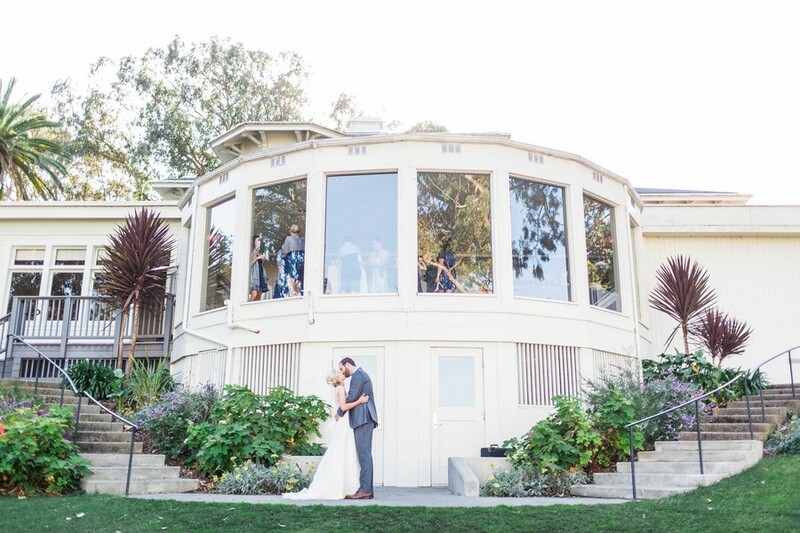 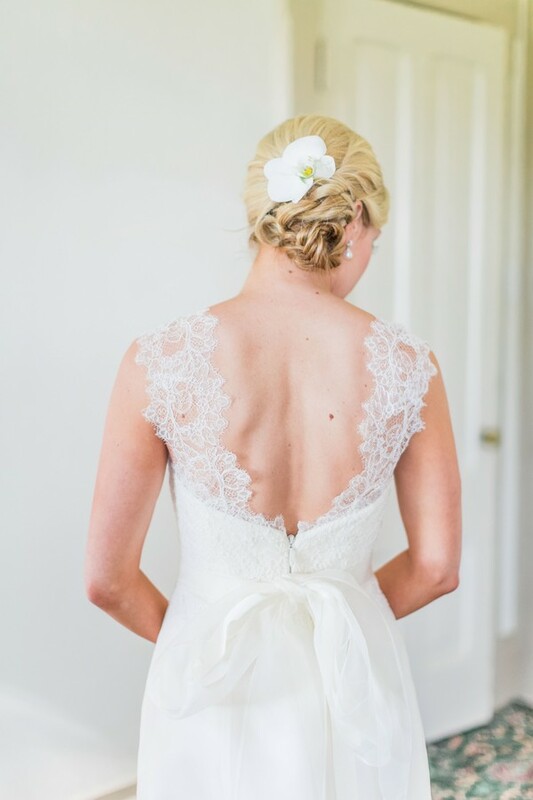 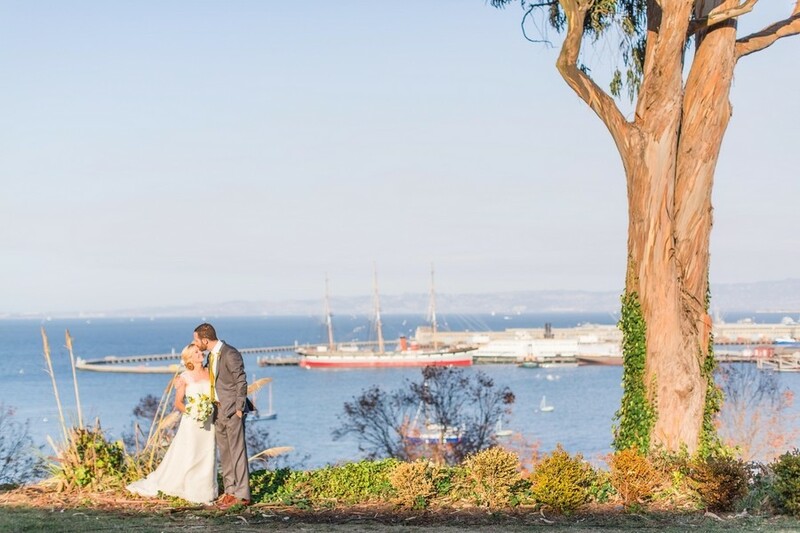 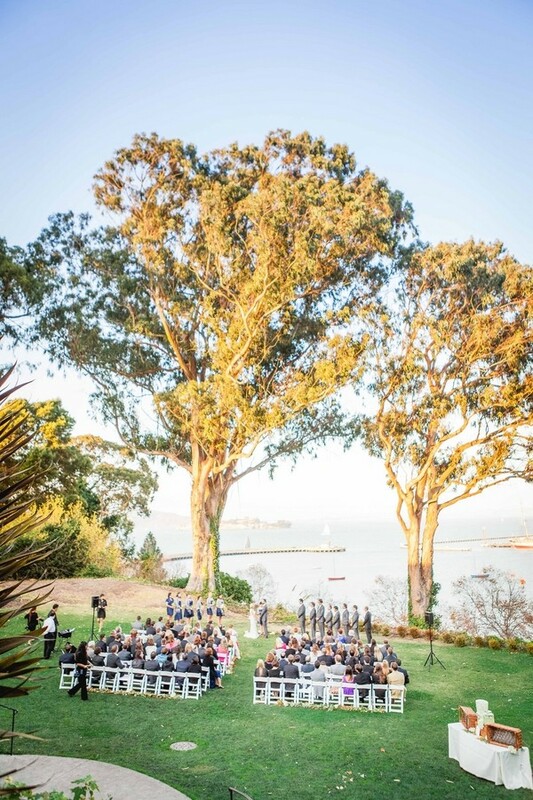 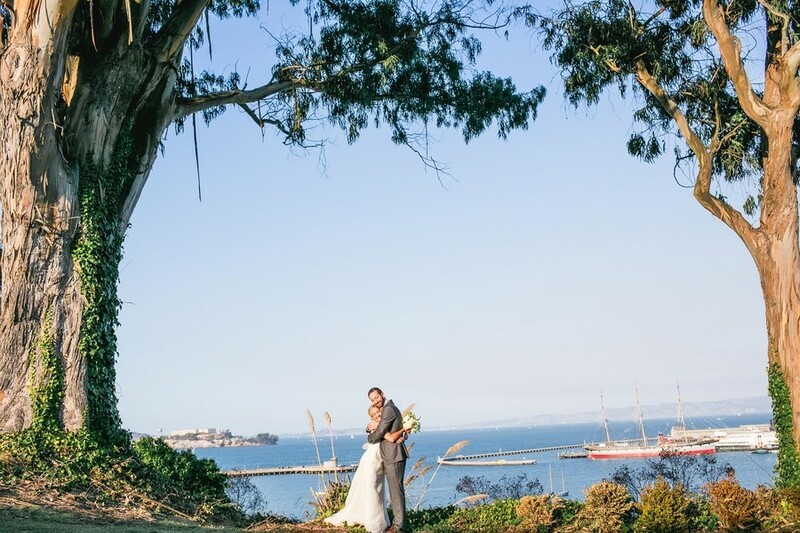 The simple but elegant ceremony gave guests a beautiful view of the boat-filled marina. 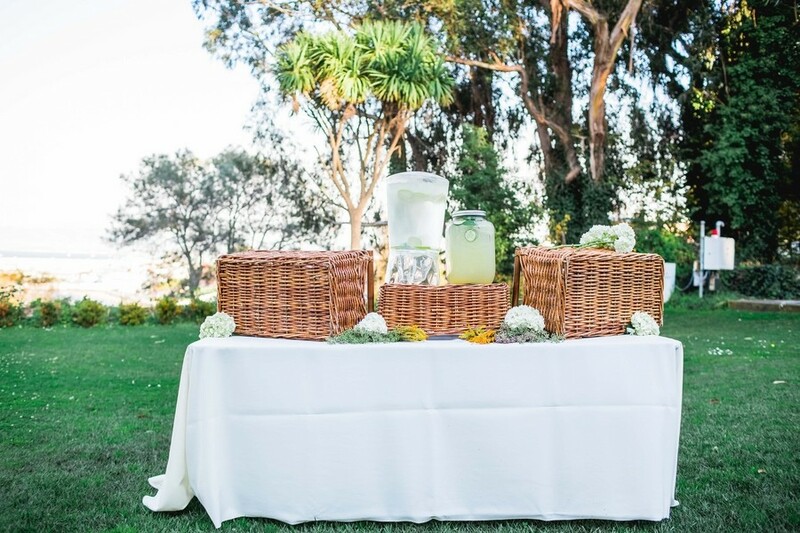 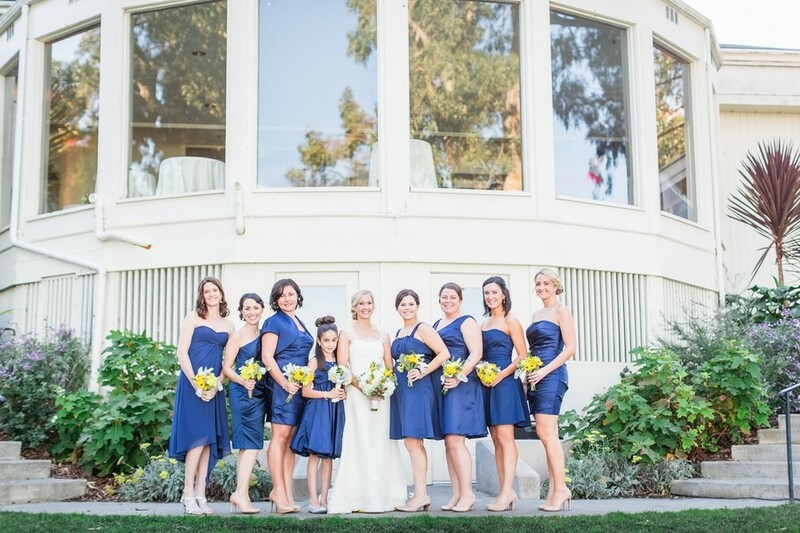 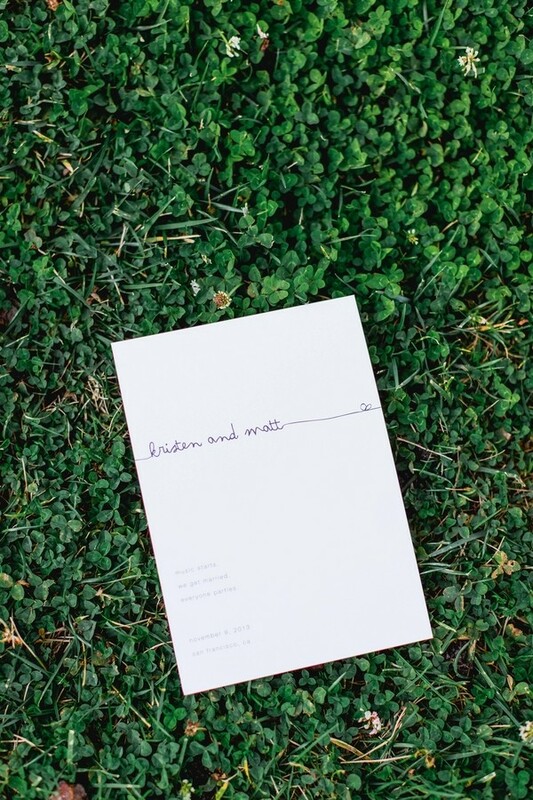 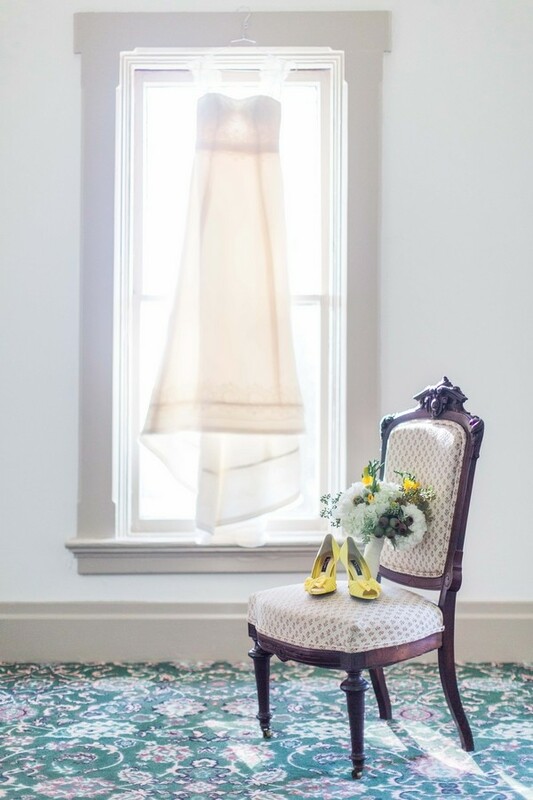 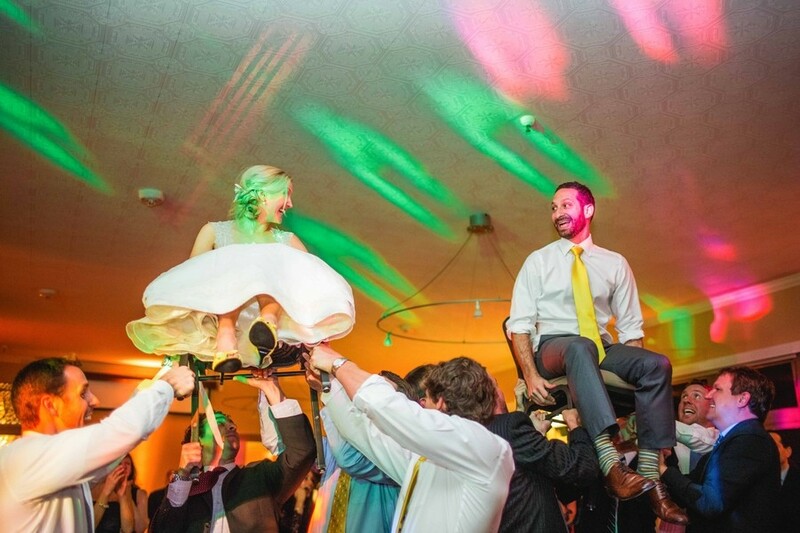 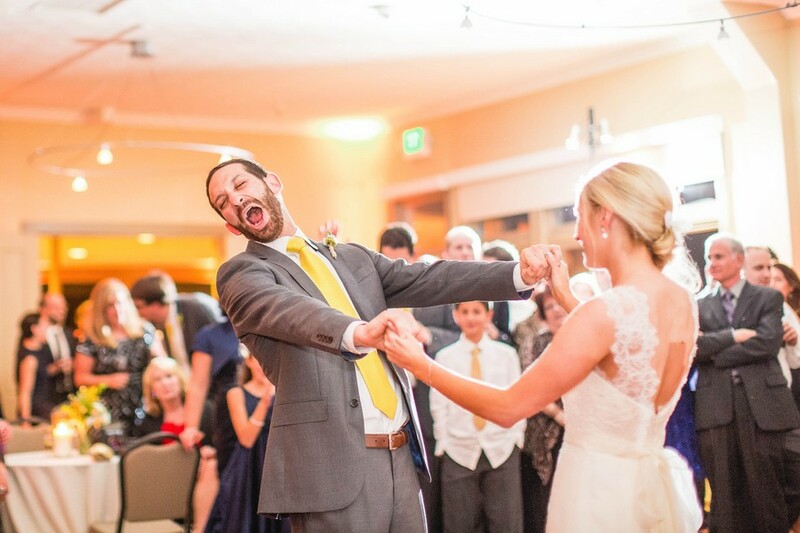 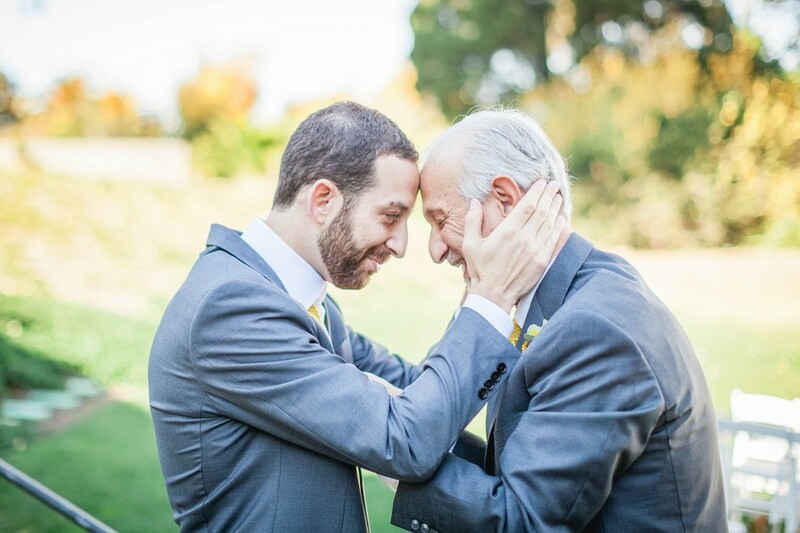 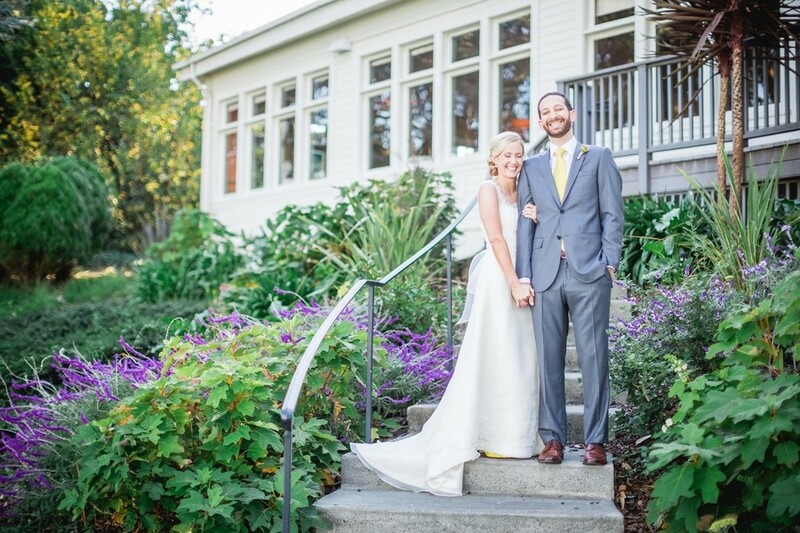 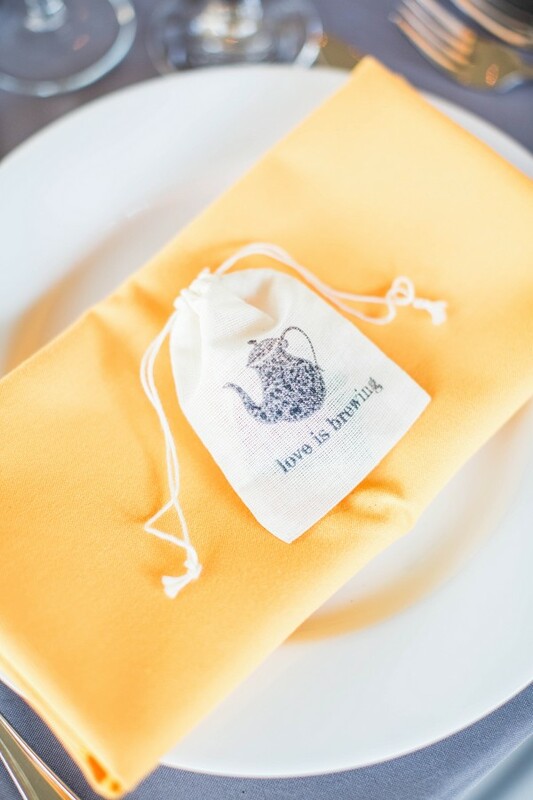 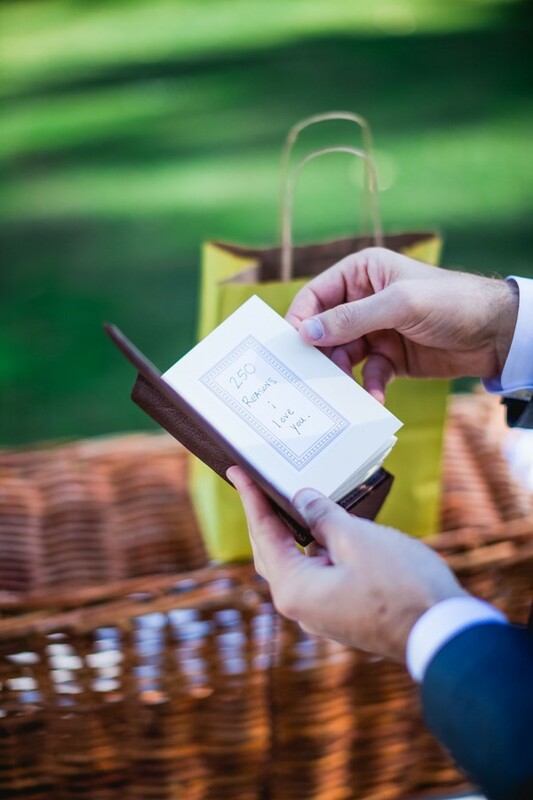 Splashes of bright yellow – from Kristen's shoes, to Matt's tie, and even the lemonade stand – brightened the classic and romantic nuptials. 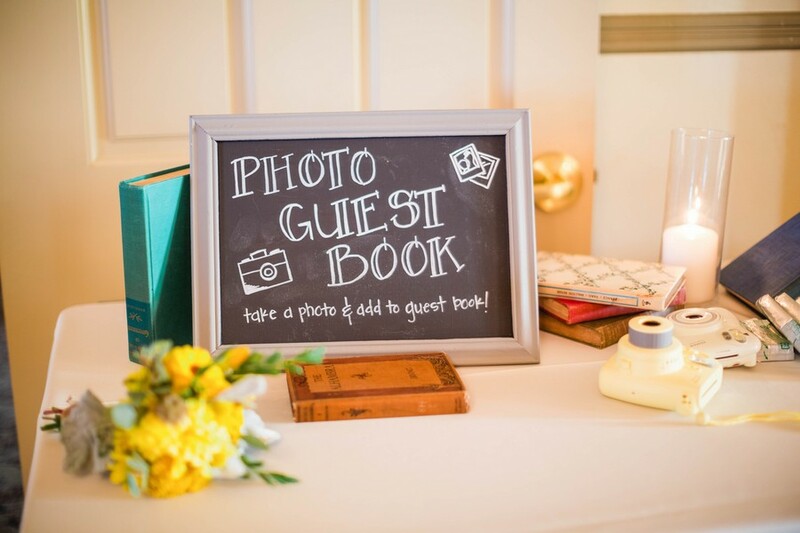 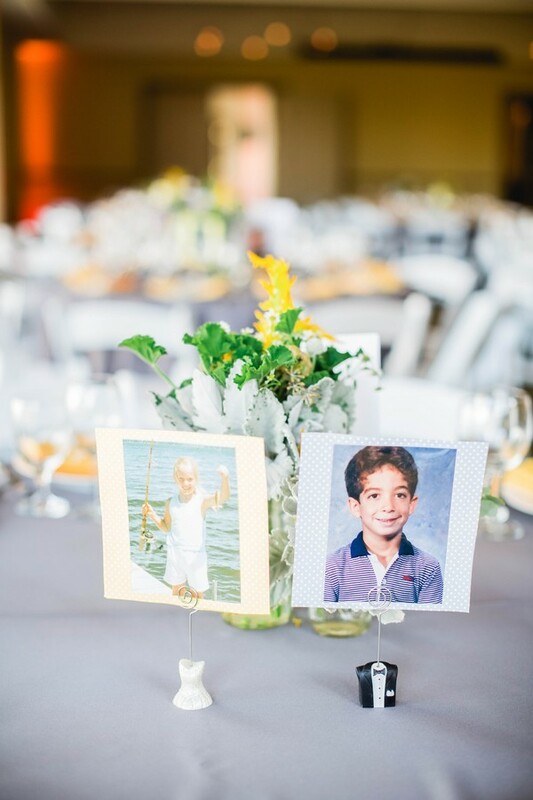 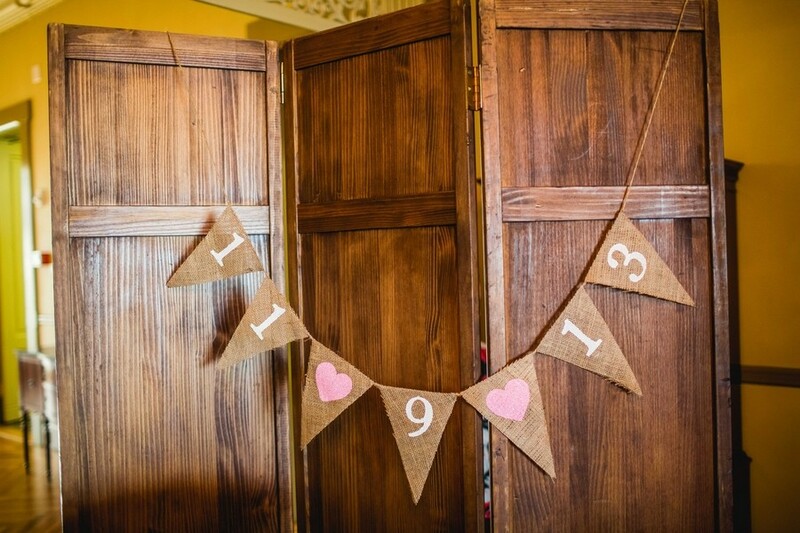 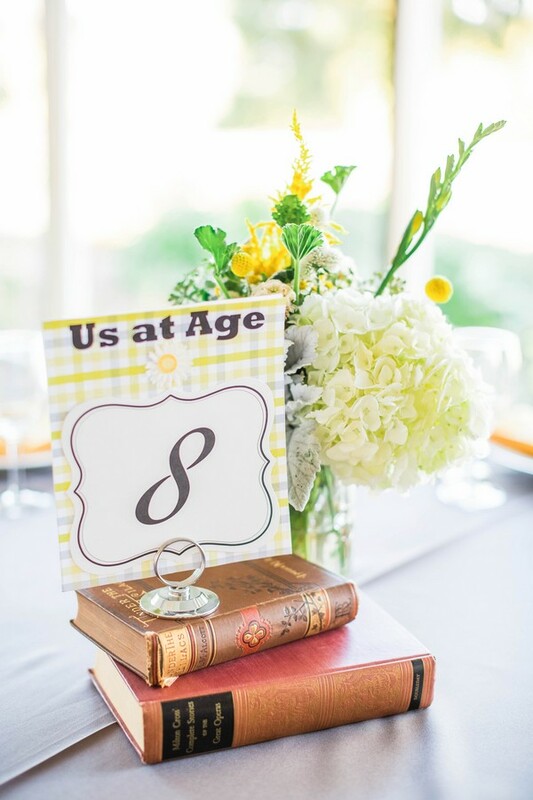 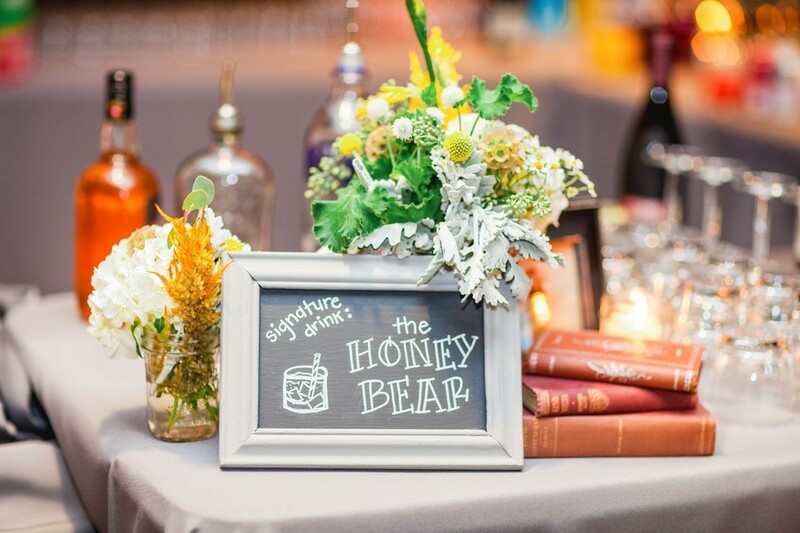 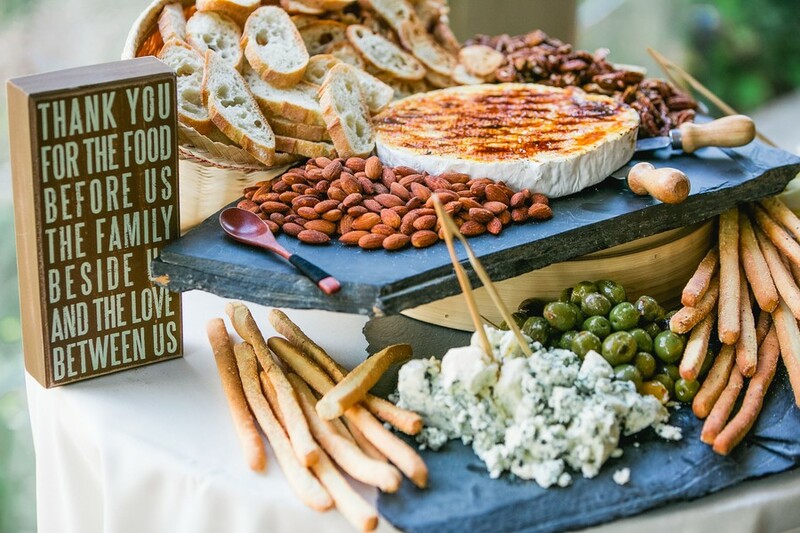 The reception included gourmet appetizers, a custom cocktail "The Honey Bear," and cute photos of the bride and groom as children to accompany the corresponding table numbers. 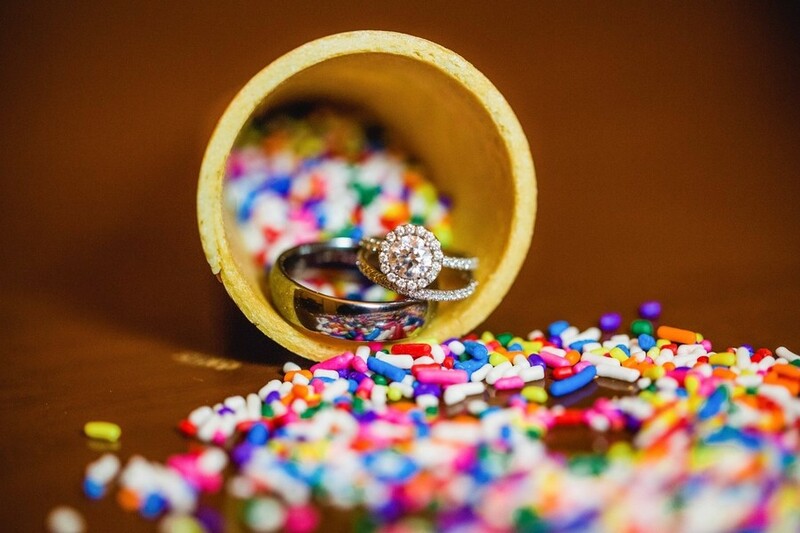 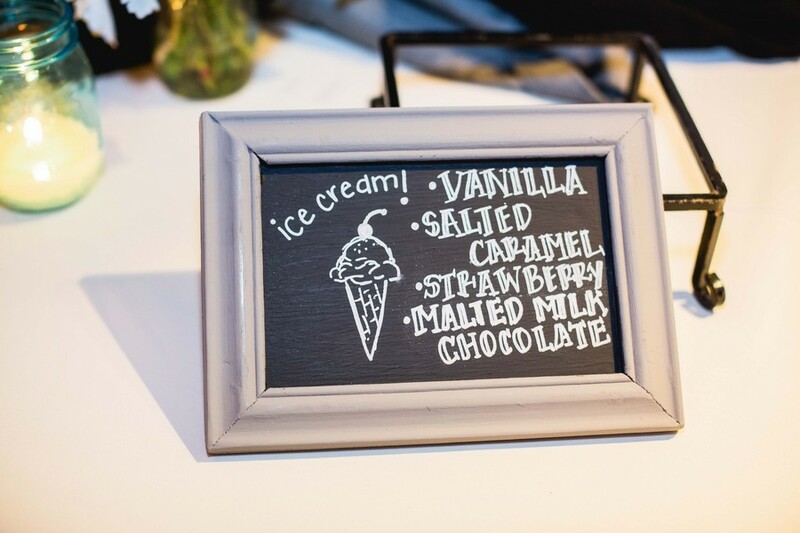 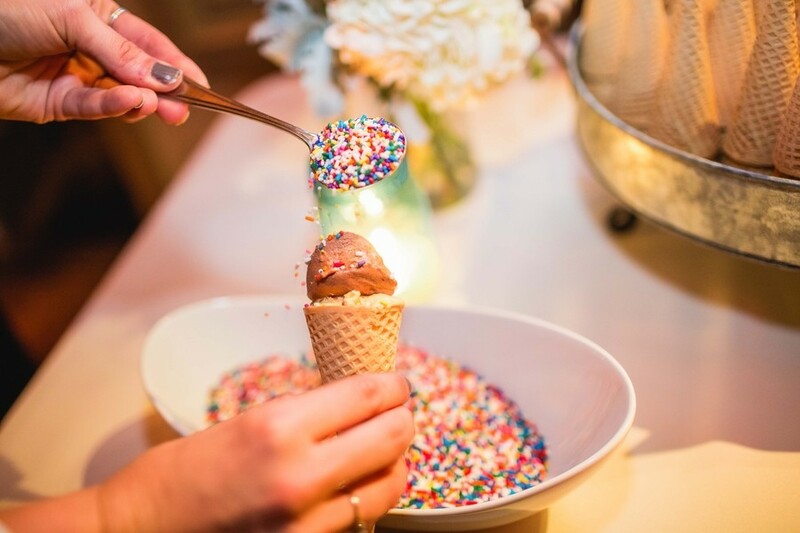 An ice cream bar in lieu of cake, allowed guests to sprinkle their own dessert and even take it with them onto the bustling dance floor.